"Words are the voice of the heart." - Confucius. This place is for me, and you, to revel in the art of the written word. So pull up that hot pot of tea, coffee, or mulled cider, a comfy chair, a good book, and maybe a cat or two and join my bibliophilia! First sentence: Even though the manager of the human resources division had not sought such a mission, now, in the softly radiant morning, he grasped its unexpected significance. There was a lot of hope for the future of the Middle East when the Oslo accords were first signed. However, as many of you probably know, with both sides disappointed in the implementation of the accords, the fall of the Oslo peace process in September 2000 was marked by the start of the second Intifada, the second wave of violence between Palestinians and Israelis since 1967. The violence did not begin to abate until the death of Yasser Arafat at the end of 2004, and the relative success of the Sharm el-Sheikh peace summit in February 2005. Marked by Palestinian suicide bombings in Jerusalem and other cities, and Israeli military excursions into West Bank, Gaza, and other Palestinian settlements, more than 4,000 Palestinians and 1,000 Israelis were killed in a seven year period. A Woman in Jerusalem, a novel by A.B. Yehoshua, takes place in Jerusalem around 2002. An immigrant woman is killed by a suicide bombing at her local market. Her body lies unidentified for a week, the only clue to her identity a bloody pay stub from a local bakery. After a tabloid newspaper article is written about the bakery's callousness towards her death, the human resource manager is sent on a mission to identify the woman and return her body to her family. The only character that receives a name in the story Yulia Ragayev, the cleaning woman from the bakery who was killed. All other characacters are referred to by their positions: human resources manager, owner, office manager, consul, ex-husband, young son. It is a technique that works extremely well for the style of the novel. I especially liked the italicized inserts of the thoughts of random bystanders to the story line: the bakery's shift workers, Yulia's neighbor's, her mother's fellow villagers. The story line certainly sounds dreary and depressing, but it is ultimately a story of hope and humor. The final scenes may not appeal to many readers, but I felt they were perfectly appropriate to the characters Yehoshua created. This is the first of his novels I have read, it will certainly not be the last. Excellent review! This is the one NYT Notable that I have yet to read for the challenge, and I'm planning to do so in October. Glad to hear such good things about it. Thanks for that review. I haven't read this one, but my favorite Yehoshua is Mr. Mani. I tried to adapt it as a play for years, but not producer was up for it even though ABY was. Great Review! I liked it too! Wonderful review! I found this one on the bargain shelf the other day and picked it up, not realizing it was a New York Notable until I saw your review over on the other blog. laura - Thanks! I look forward to hearing what you think of it. ted - What a shame! I've heard good things about Mr. Mani, it will probably be the next of his books that I read. 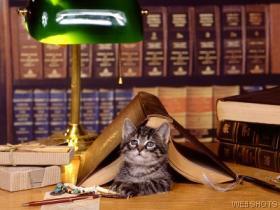 literary feline - What luck! My library only acquired it recently, I remember I looked for it in March, April, Mayish, and they didn't have it. My favourite Yehoshua is Mr Mani too. It's wonderful, especially the early chapters. I've also read Open Heart, which while I couldn't say it's one of my favourite books, the characters and situations really stick in my mind and the descriptions of Jerusalem are beautiful. What's In A Name Challenge - FINISHED! Non-fiction Five Challenge - FINISHED! Themed Reading Challenge - FINISHED! Book Awards Challenge - FINISHED! Jewish Literature Challenge - FINISHED!